It’s been quite warm for so early in spring. Hard to know what the weather is going to do next. Casserole and soup time didn’t last very long at all. Being a big soup and casserole fan, I feel like I’ve missed out. Oh well, good thing I like salads and quiches too. 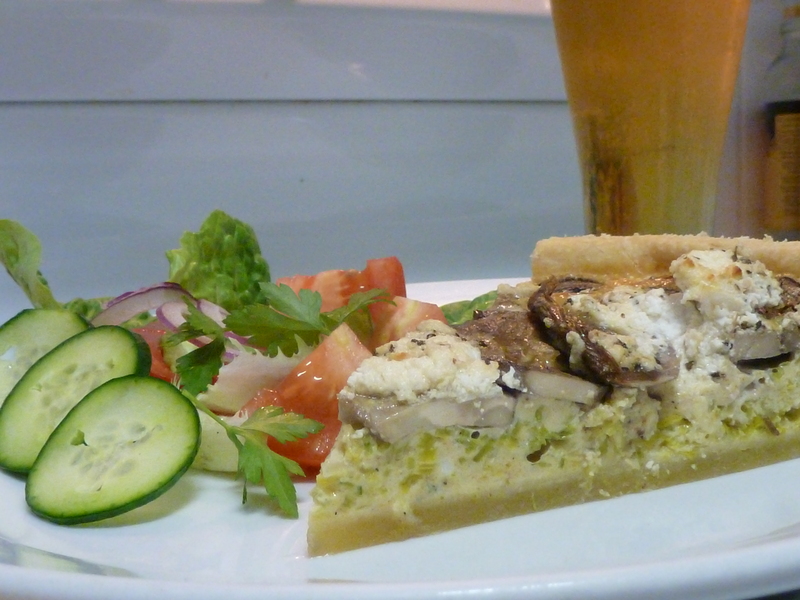 My favourite is Quiche Lorraine but I had a leek in the fridge ( that doesn’t sound too good, but you know what I mean) and I couldn’t go past the mushrooms at the green grocer. The good thing about quiches is you can put just about anything in them, as long as you have enough egg and cream to keep it all from falling apart. Hope you try and like this veggie version. as much goats feta or cheese you like. I make the pastry in a food processor. It’s so easy and so much faster. Simply put the flour and butter into the food processor bowl and pulse for a minute until butter and flour resemble breadcrumbs. Add the water and continue mixing until it comes together. 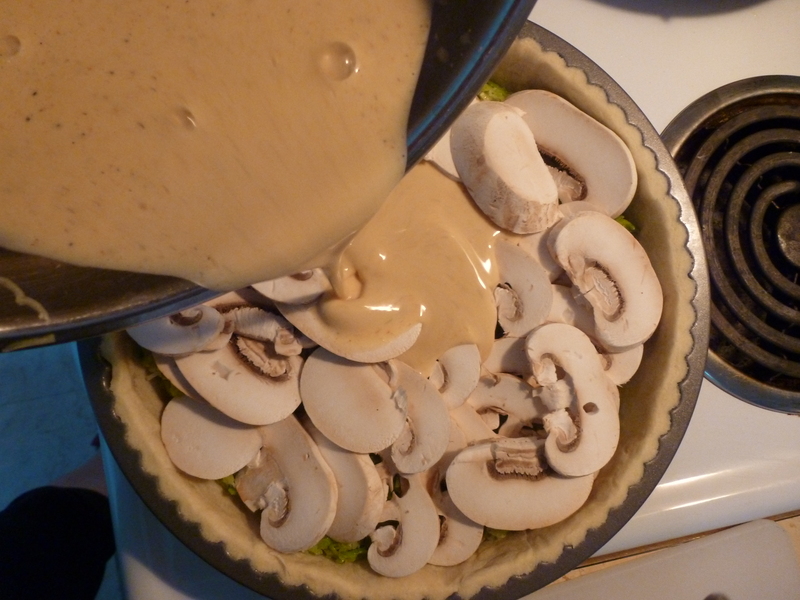 Roll the pastry out to cover the base and sides of a 25cm loose bottom tart tin and chill for an hour. Blind bake tart shell by covering with some baking paper and pouring in some dried beans or rice and baking in a pre-heated 170c oven for 12 minutes. Remove the beans and paper and prick the bottom of the shell with a fork. Put back in the oven for another 10 minutes. Heat the butter and oil in a large fry pan. Add the leek and sweat for 8 – 10 minutes , stirring often, until wilted but not browned. 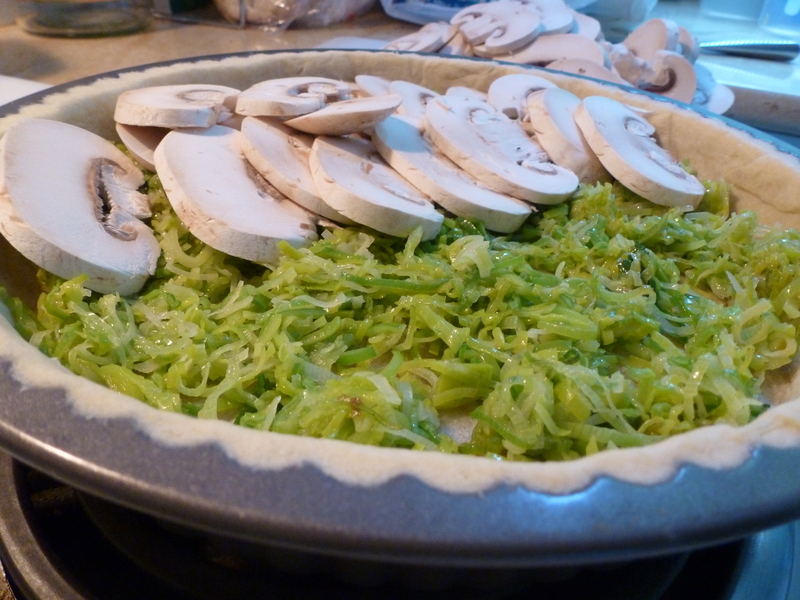 Remove from the heat and spread evenly over the baked tart shell. Arrange the mushroom on top. In a bowl or large jug, whisk the eggs, cream and seasonings until well combined. Pour over the mushrooms and leeks. Dot with your goats cheese and bake at 170c for 35 – 40 minutes. This will easily feed 4 – 6 people with a big salad on the side.